Through a haze of crooked finger peace signs, crisp white shoes, and squinty stoned eyes, Blackbear promotes himself; on Snapchat, Instagram, Twitter, and he does it well. Remaining unsigned to any record label, he has no strings attached to anyone but himself. He releases his songs on Soundcloud before they even hit Spotify or iTunes. Fans go nuts and practically beg him to let them buy it. That’s how you know you’re onto something special. After recently announcing his musical collaboration with Mike Posner titled, “Mansionz”, Blackbear ( born Matthew Tyler Musto) is back with a brand new solo single and plans for an album release on, you guessed it, 4/20. The song, “Make Daddy Proud” appeared on Soundcloud Monday night, making fans squeal with joy at the sounds of some new Bear. “Proud” lets electronic tid-bits take the front seat as we’ve heard on his previous tracks like 2016’s”Wanderlust” and “Flirt Right Back.” Mixing hip-hop beats with electronic synths and chords seem to be his niche making him an easy crossover into the pop genre. A surprisingly charming falsetto sings, “Tell me how do you cope with it? how do you sleep with yourself at night?” The money-littered chorus praises a woman for spending Daddy’s money. His lyrics preach a subtle mix of encouragement and sexism, but the beat is too dominant to ignore. 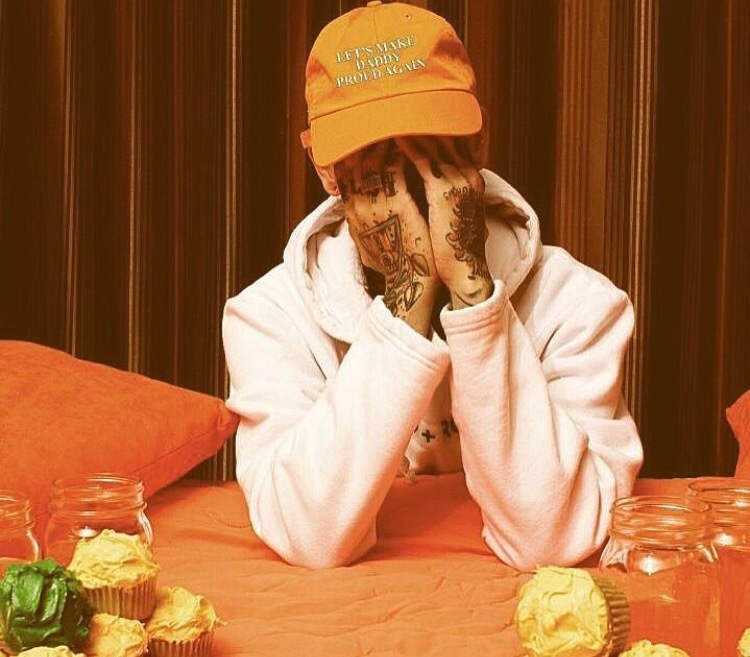 As usual, along with the new release, came corresponding merch; orange hats (matching what seems to be the artwork for his new album) that read, “Let’s Make Daddy Proud Again.” I’m sure they’ll sell out more than coffee on Monday morning. The Pennsylvania native has a brand and sure knows how to sell it. Fans in the Beartrap support him every step of the way, selling out shows, merch, and his music.